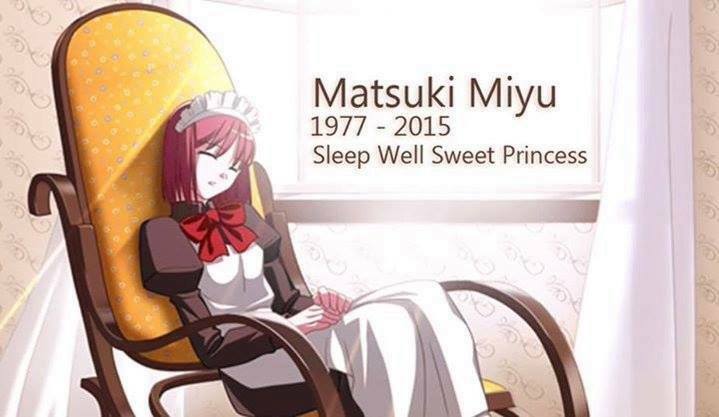 Talent agency 81 productions announced on Monday that voice actress and singer Miyu Matsuki passed away from acute pneumonia complications on the 27th October at the age of 38. Miyu had been under treatment since July 2015 until her death on in Tokyo. Earlier this year she was told that she had a fever since the beginning of the year that she could not get rid of. She found out that she had acute pneumonia after she repeatedly went to the hospital for check-ups. 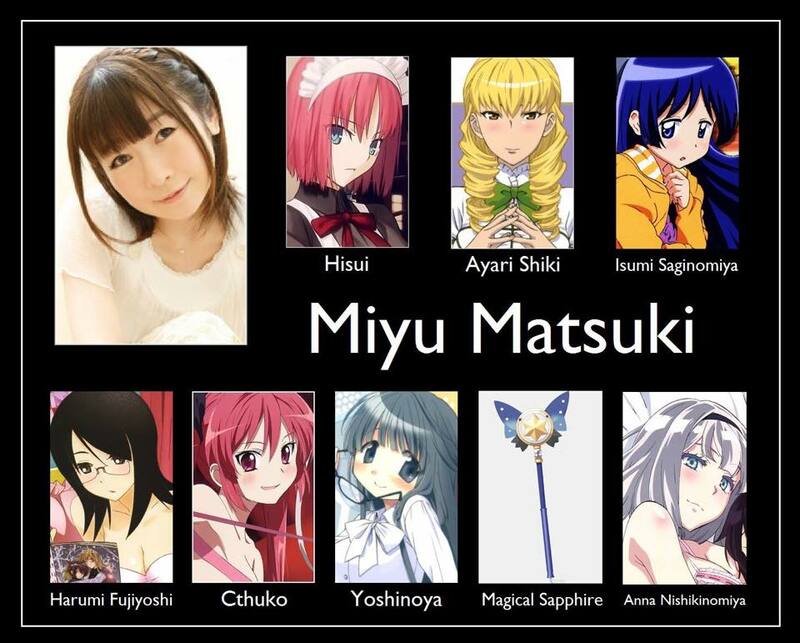 Miyu Matsuki was born on September 14, 1977 in Hiroshima, Japan. 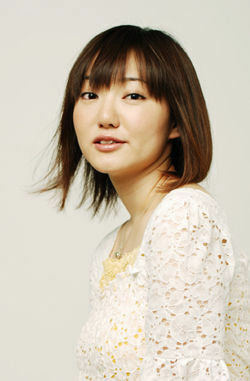 She known for Romeo x Juliet as Cordelia (2007), Sword of the Stranger (2007) and Hayate the Combat Butler (2007). Ayakashi as Hime Yakushiji, ARIA The NATURAL as Ayano (ep 4), Binchō-tan as Pukashuu, Carnival Phantasm as Hisui, Claymore as Flora, D.C. ~Da Capo~ as Yoriko Sagisawa, D.C.S.S. ~Da Capo Second Season~ as Misaki Sagisawa, Divergence Eve as Kotoko-01, Dog Days as Evita Sales, Dragon Drive as Sue, Fafner in the Azure as Shouko Hazama, Fate/kaleid liner Prisma Illya as Magical Sapphire, Final Approach as Akane Mizuhara, Fullmetal Alchemist as Sister (ep 16), Futari wa Pretty Cure Splash Star as Choppy, Glass Mask as Asako Hayagawa (ep 22), Haibane Renmei as Haibane of Abandoned Factory, Haiyore! Nyaruko-san as Cthugha, Hanbun no Tsuki ga Noboru Sora as Sayoko Natsume (ep 5,6), Hand Maid May as Mie, Hayate no Gotoku! as Isumi Saginomiya, Hidamari Sketch as Yoshinoya-sensei, Hit wo Nerae! as Natsumi Yagami, Isekai no Seikishi Monogatari as Flora Nanadan, Kagihime Monogatari Eikyū Alice Rondo as Kisa Misaki, Kakyuusei as female student (ep 9); Mahoko’s friend (ep 5). You can view Miyu Matsuki’s entire work on Amazon JP here.